From changing the default order size to customizing the colors of the charts the MT4 platform offers traders complete control to make the trading platform as customized as one would prefer. The MetaTrader 4 (MT4) trading platform can be customized to suit a trader’s individual preferences. This article outlines the various customizations that are possible both with the MT4 trading platform and the MT4 Webtrader as well. One click trading is ideal when placing market orders. It saves you a lot of time when one click trading is enabled. 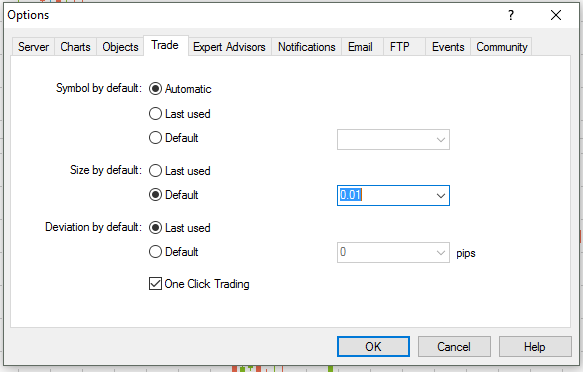 The most important part about one click trading is setting the default trade size. Before starting to use One-click trading, ensure that you first set the trade size correctly. On the top left corner of the chart, click on the ‘arrow’ icon to display the One Click option which opens the Buy/Sell buttons. Make sure to modify the trade size first. Now, when you click Buy or sell, the trade is opened with the specified trade size. The trade size remains the same for any future market orders that you open for that instrument. If you want to trade a different instrument, you will need to change the trade size first before using the One-Click trading option. You can enable/disable one click trading by pressing ALT+T shortcut. 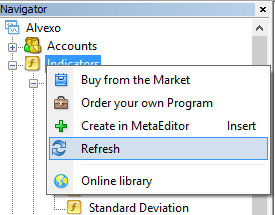 On the MT4 Webtrader: To enable One-Click trading from your MT4 Webtrader, you need to first enable this feature. Click on Options in the menu bar and then select one-click trading. This will open a confirmation box. Read the disclaimer and check the box and accept. Before you start trading with One-Click feature, make sure that you adjust your trade size first as the default is set to one standard lot. To change the chart colors on the MT4 platform, right click on the chart and select ‘Properties’ or go to Charts>Properties from the menu (or press F8) which opens the Chart Properties window which has two tabs Colors/Common. In the Colors tab, use the drop down to select the colors of your choice or choose from the three default color themes from the ‘Color Scheme’ selection. 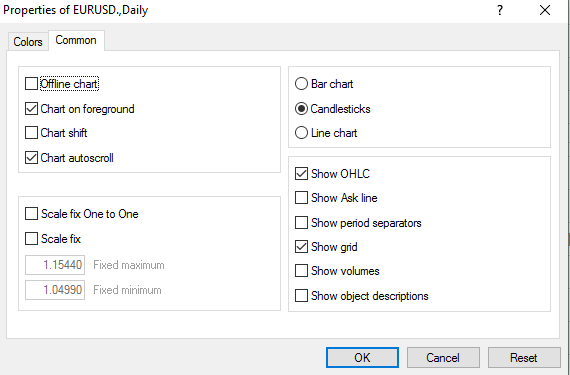 On the Common tab you can further use the options to switch between chart types, enable/disable other features such as Ask Line/Grid/Period separators etc. Further customization can be done by right-clicking on the icons at the top to customize the toolbars. You can use this feature to add/remove further details on the MT4 platform including moving around the various default drawing tools. For MT4 Webtrader, there is no option to change the colors on the charts. Customized indicator option is not available for MT4 Webtrader. 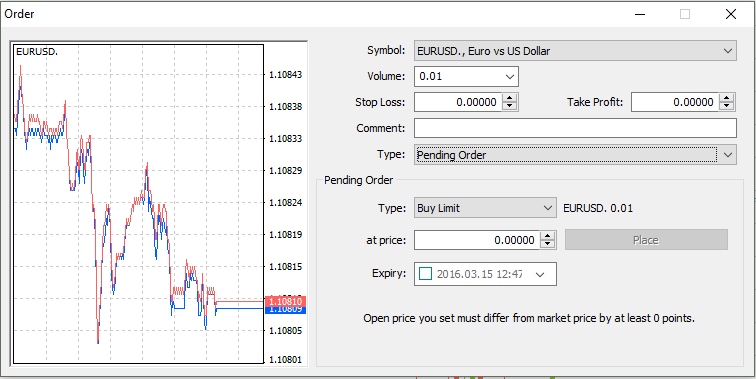 On the MT4 trading platform you can add custom indicators. 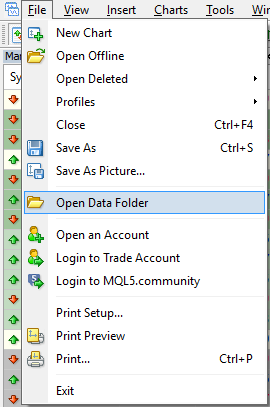 Click on “File>Open Data Folder” which opens the destination to where your MT4 profile is located. Double-click on MQL4 folder and go to Indicators folder. You can copy/paste the custom indicators here. After the custom files are pasted into the MQL4>Indicators folder, close the file explorer window and open Navigator (CTRL+N). Right click on ‘Indicators’ and select ‘Refresh’ to update the section with new indicators that you just added. On the MT4 trading platform, you can place limit or pending orders by right-clicking on the chart and selecting Trading>Buy/Sell Limit which will set a pending limit buy or sell order at the price where your cursor is.